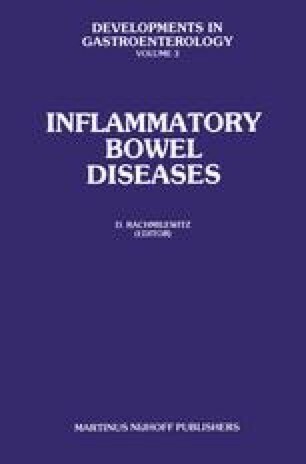 While the etiology and pathogenesis of IBD are unknown, a favored hypothesis includes the participation of (1) external agents, possibly microbial, (2) immunological responses in the host, and (3) genetic factors influencing these responses. The purpose of this review is to summarize the immunological evidence that has led to such speculation. This work was supported in part by a grant from the National Foundation for Ileitis and Colitis.